Hi everyone, Happy Sunday! I hope you’re having a great weekend. I’ve had a fantastic week promoting my new book and I’m so overwhelmed and thankful for all the support I and it has received. 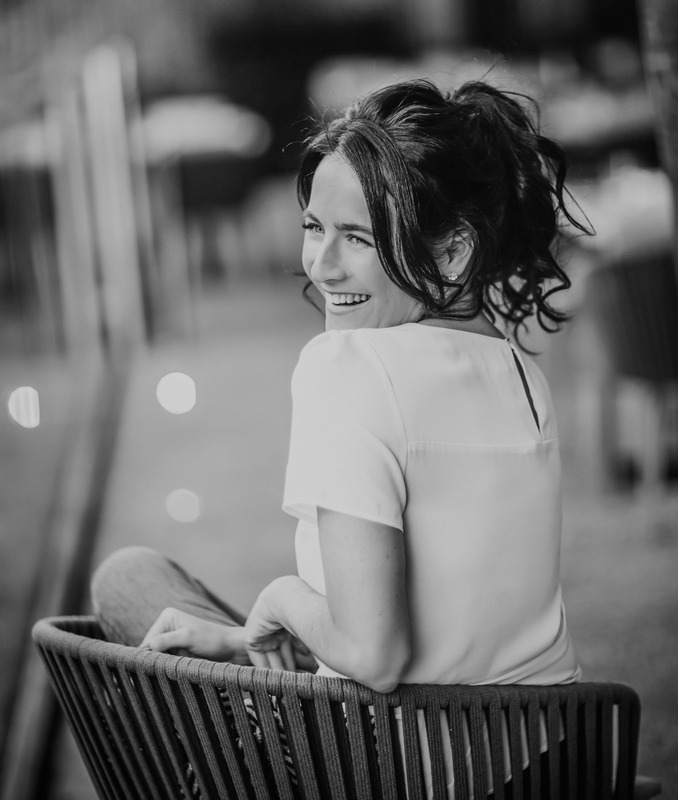 For your Sunday evening, I thought I’d write a little post all about how and why I wrote the book. And for anyone who hasn’t bought it yet, I thought I’d share some snippets to give you a flavour of what’s inside. The book started out in January 2013 – at least that’s the earliest drafts I can find at the moment. I sent it out to Gill a few years ago but it wasn’t picked up. So a few years later – in 2016 – I thought I’d try again. I sent it out to four publishers this time. One never got back to me, one said no and then Gill and another publisher in the UK said “maybe”. The book went to a commissioning round with both publishers and while the UK passed, thankfully Gill said yes on this occasion! I was delighted as they were my top choice all along. So the first lesson to share is try again. Ask again! The second time might be a yes! That was July 2016 and it took until November 2016 for the writing to really get underway. And to be honest, even then I didn’t really start. Yep – I procrastinated! The irony! I finally got myself into gear around March/ April of 2017 and then it was almost full time until December. I had read that the writing of a book is the easy part and it’s the editing that takes more work. And I found this to be true. Not in a bad way at all, I really enjoyed the entire process. But it is a huge amount of work. I’ve read my book dozens of times at this stage. In one sitting I think it takes about six or seven hours to read. And now it’s here. I received it just before Christmas and the tears streamed. My parents asked me what it looked like and I couldn’t tell them as I couldn’t see it through the tears. I’ve thought about this book for years and here it was in my hands. Who knew Gill were moonlighting as Santa Claus! I wrote my book for several reasons. I thought it would help people and it would be of interest. 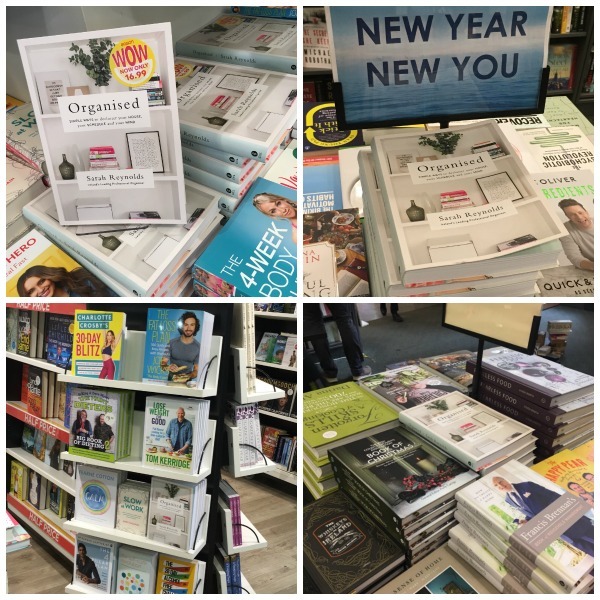 I thought those who didn’t want to hire an Organiser – whether for privacy or financial reasons could get some advice and techniques through the book. And I thought it would help my business. So what’s it all about? 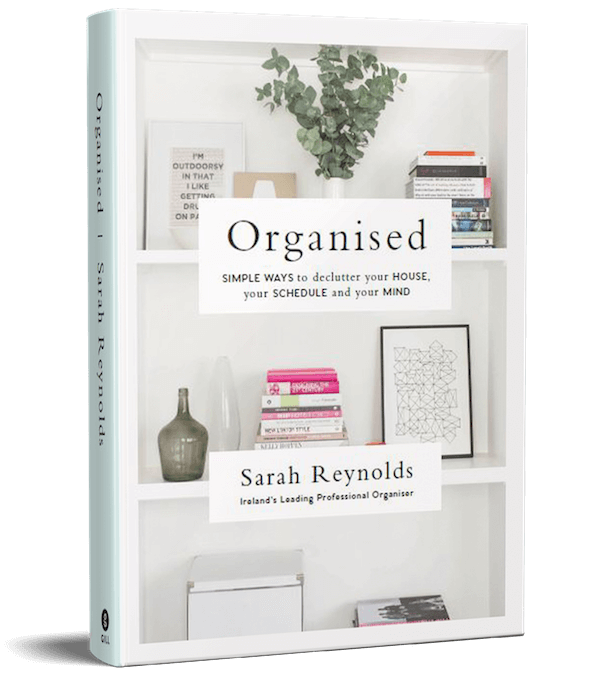 ‘Organised – Simple Tips to Declutter your House, your Schedule and your Mind’ does what it says on the tin! It’s a book to help you become organised. If you’re feeling like you have no time, that you’ve too much stuff, that you don’t have enough space or storage. Perhaps you’re sick of all the toys, or you’re resigned to wearing all your black clothes because your wardrobe is too cluttered. Maybe there’s arguments at home when items go missing and the clutter is starting to affect your relationships. Maybe you’re afraid of letting items go and are not sure what to keep. These are just some of the problems that the book addresses. Becoming organised is another skill in life and just like every skill, it can be learned. The book is divided into four sections in order to help you incorporate this skill into your life. First we start off with ourselves, examining why we accumulate and why we find it hard to let items go. We look at our habits, why we regularly say “I’ll just leave this here for now” and how to change that habit. I speak with Dr Michael Keane from Actualise who helps us understand that organising is a non-urgent action and so it’s easy to push it down the ‘To-Do list’. Once we’ve figured out why we have struggled to get organised before now, we move on to Part 2 – our schedules! In Part 2, I discuss time. Because if you can’t find time in your schedule, you won’t declutter efficiently. Organisation and time go hand in hand. I show you how to use your To-Do lists to the max. Then what schedules to use, and how. Every area follows the exact same method so that you create space and start finding homes for everything you own in a way that makes sense for YOU and your space. Finally in Part 4 we come back to ourselves. In order to maintain this, it needs to become a habit – but a good habit! Routines backed up with checklists helps with that, so in this section I show you how to create routines. And that is that! My baby. Here at last. Thank you to everyone for the support and for buying the book to date. I wonder can we make it number 1?! So if you are thinking of buying it, please do! 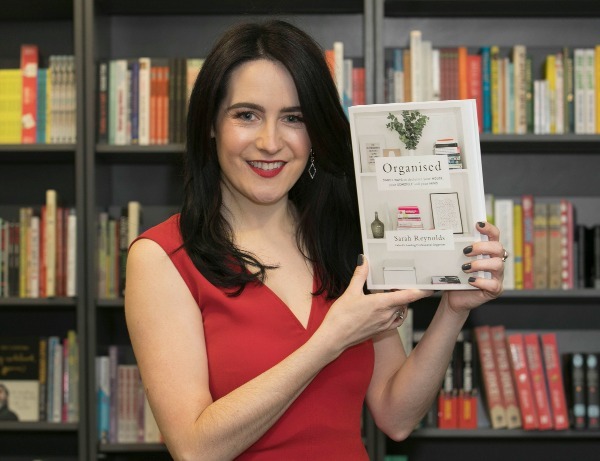 If you own a copy, let me know by popping it up on social media using the hashtag #organisedbook. I’d love to see it. And if you enjoy it, please leave a review on Amazon, I’d very much appreciate it. Thanks everyone, I hope you enjoy it and I hope it helps you make 2018 your most organised year yet!